INTRA, with more than 40 years in the business, and a wide range of experience has the capacity to quickly adapt, and to organize the best team to produce studies on a small and large scale. We have the specific tools necessary that transport and mobility engineering require. 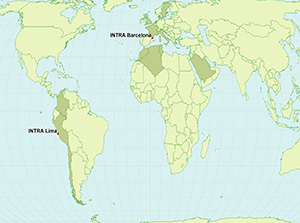 INTRA's worldwide projects serve as evidence of its entrepreneurial, dynamic and international nature. Up until the year 2013, more than 1000 projects and or studies have been completed in all of Catalonia’s counties (comarques), in 44 Spanish cities or regions and in 12 different countries in Europe, Africa and South America. 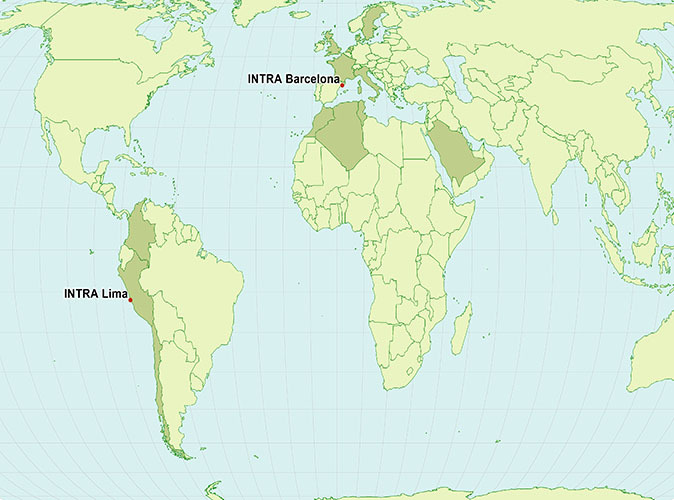 INTRA's technicians and engineers have participated in more than 200 presentations in conferences and mobility and road traffic safety seminars in Spain, Europe and South America. During these more than 40 years of service, INTRA’s team has written articles, yearly reports, handbooks and guides for different institutions, scientific magazines, and media. Having published more than 100 works, in fields such as road traffic safety, improvement of urban space, the environment, pedestrian safety, bike commuting, in itinere trips, signage... prove the quality and rigor of the work done. Jordi Parés has been a professor of the postgraduate courses of Auditors of Road Traffic Safety, of the MA in Traffic Management and Road Traffic Safety organized by UPC and of the course on Road Traffic Safety by AATE (Electric Train Autonomous Authority). From 2011 until the present he has been an external professor of the Catalonia Polythenic Foundation associated with UPC at the ETSECCOB University (Barcelona), Pacific Lima, Perú, and University La Salle in Bogotà, Colombia. Joan Estevadeordal has been a professor of the course Actions and Measures for Pedestrians organized by the COAC (Official school of Architects in Catalonia) taught in the school SERT during the year 2007. He has also been one of the lecturers of the course on Road Traffic Safety by AATE (Electric Train Autonomous Authority) in Lima in 2013. From 2011 until the present he has been an external professor of the Catalonia Polythenic Foundation associated with UPC at the ETSECCOB University (Barcelona) , Pacific Lima Perú, University La Salle in Bogotà, and the School of Military Engineers in Bogotà, Colombia. Daniel Jordi has been a professor of the course Access to Industrial Estates organized by the COAC taught in the school SERT in 2007.